Greenpointer Annie Novak is busy as a bee, and clearly she likes getting her hands dirty. 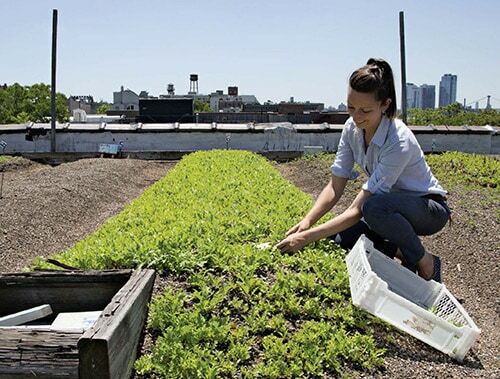 She’s co-founder of Greenpoint’s Eagle Street Rooftop Farm (which officially opens for the season at the end of May), founder and director of Growing Chefs, and manager of the Edible Academy at the New York Botanical Garden. Her book, The Rooftop Growing Guide: How to Transform Your Roof into a Garden or Farm, was published in February by Ten Speed Press. 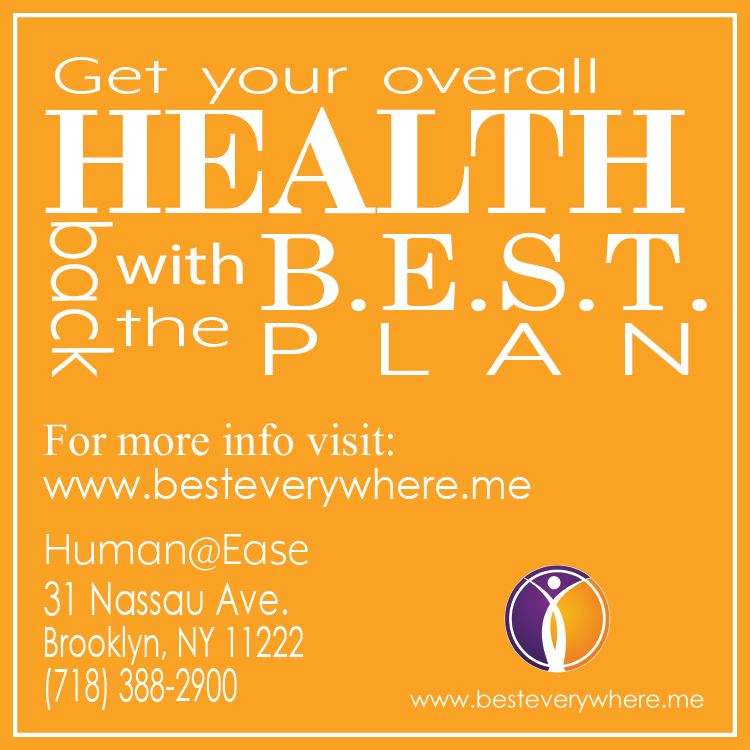 GP: What drew you to Greenpoint, and what’s special to you about this neighborhood? Annie: I love New York City. I like living in Greenpoint so I can experience Manhattan from afar, like a distant mountain range. A great view, but at a good arm’s length! GP: Was there something specific that inspired you to co-found the Eagle Street Rooftop Farm? Annie: Broadway Stages founded the Eagle Street Rooftop Farm when they decided to finance the installation of a green roof atop one of their many sound stage facilities. Goode Green, the green roof company that managed the installation, brought Ben Flanner and I on board once Ben had pitched the idea to them of turning what was to be a green roof into a vegetable farm, instead. 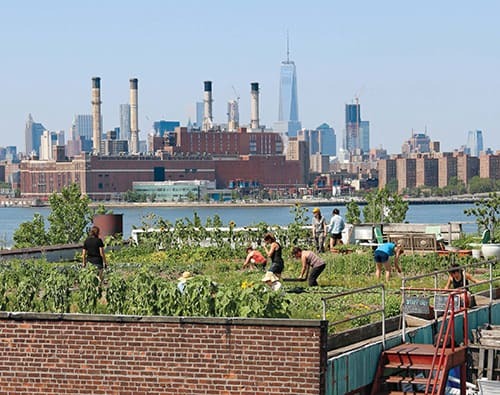 GP: What makes Greenpoint a good place to have an urban or rooftop garden? Annie: A rooftop like the roof that hosts Eagle Street Rooftop Farm—open, flat, and a well-built historic building—is ideal for a green roof. Northeastern Greenpoint is full of that type of structure. As for the western side of Greenpoint, the more it gets developed, the more I wonder why we don’t see more rooftop gardens (and terrace gardens) being installed on all the new condominium structures. Surely a forward-thinking building owner would see the value of supporting the green space, as Broadway Stages did. GP: If someone wants to start their own rooftop or patio garden, can you give us a few high-level tips? Annie: Ask permission before you start gardening! Once you have your building owner’s go-ahead, make sure your rooftop is legally accessible. If you’re starting with containers, choose those with larger volume. If you can lift it up, so can the wind! Plants thrive in bigger containers. Check first where your water access will come from. Finally, start with plants that make sense on a rooftop. Trees are long-term commitments. If you want to start with annual vegetables and herbs, you can do a test run of how well things grow before committing to perennials. GP: What are the best/easiest veggies to grow in Greenpoint for a novice just getting started with their own backyard, roof or patio garden? Annie: Most people start with tomatoes and herbs, but I’d suggest starting with the kind of thing you can get only if you grow it. I love growing unusual plants like Lemon Cucumbers (a yellow, round cucumber), or cilantro that I let flower to collect the green coriander seed. GP: Are there any monumental obstacles you face with urban and rooftop farming? Annie: The biggest challenge to urban farming is validating its worth in the eyes of the public, as well as the public as represented by private or government organizations. Farming in the city is about food. But it’s also about creating creative green spaces that raise plants, but also quality of life, and the value of a neighborhood. Community gardens have been arguing this for years, and I would agree. Every rooftop able to carry the weight should have a green roof, whether it’s a farm or not. Every open lot should be used as green space, either permanently or in the interim before building development. Book cover reprinted with permission from The Rooftop Growing Guide by Annie Novak, copyright © 2016, published by Ten Speed Press, an imprint of Penguin Random House LLC. Thursday April 7 — Get your hands on workshops and treats and 20% off (and of course Annie’s book) at Madewell in Williamsburg. Sunday, April 17 – Annie will take part in the panel discussion The Rooftop Growing Guide: Redefine The Urban Skyline at the Lowline in the Lower East Side. 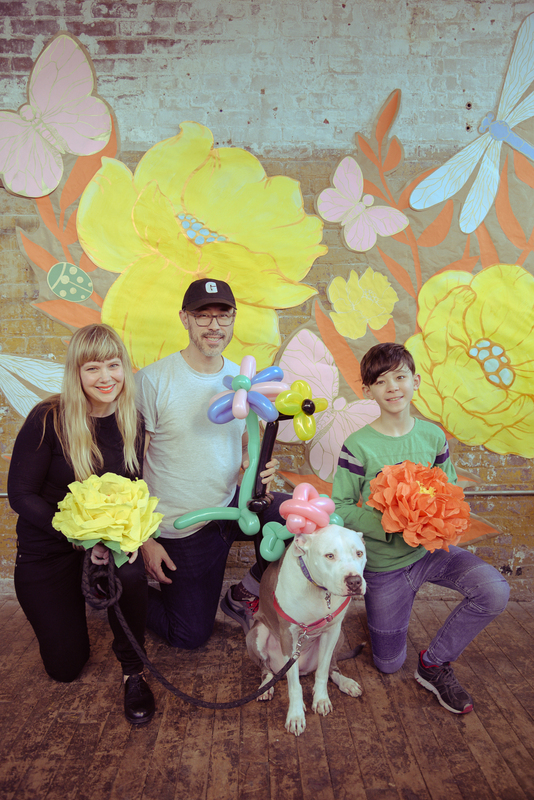 Monday, May 2 – Take a class with Annie Novak and Sam Anderson of Mission Chinese, at Food Book Fair in Williamsburg. 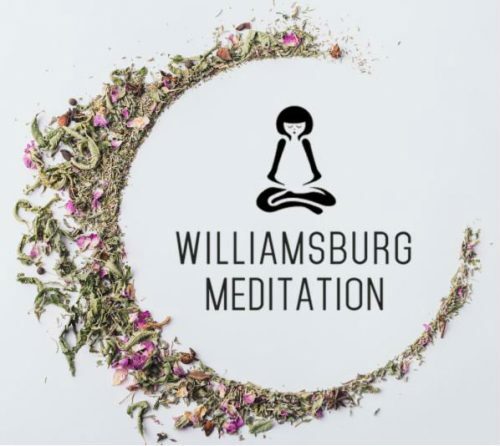 Wednesday, May 11 – The Rooftop Growing Guide x The Brooklyn Grange are hosting a class about Urban Gardening with Native Plants and Pollinators. 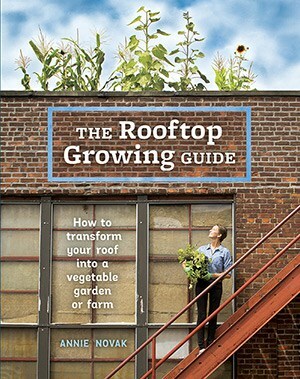 Annie’s book, The Rooftop Growing Guide: How to Transform Your Roof into a Vegetable Garden or Farm is out now. 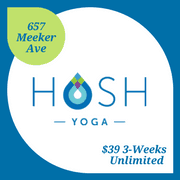 ← $25 off Sunglasses at Sunny Eye Shop and FREE Drink Voucher for Enid’s!